We would like to send you a lucky event as our sincere appreciation for all the wonderful things you gave us. Every valid comment will receive a Christmas code. Step 3: Take a screen shot of this post at step 2 and leave it to the comment section with key word MERRY CHRISTMAS. Special: The guild with the most members join this event will receive more reward with higher quality. - You have to follow all the steps, your guild mates have to comment as their confirmation. - DO NOT copy the post of the other, it will be the invalid post and will not receive the reward. - The decision of GM and admins is the final decision. Check your Facebook message box and follow our guides. A code will be sent to your Facebook message box within 48 hours after this event ends. 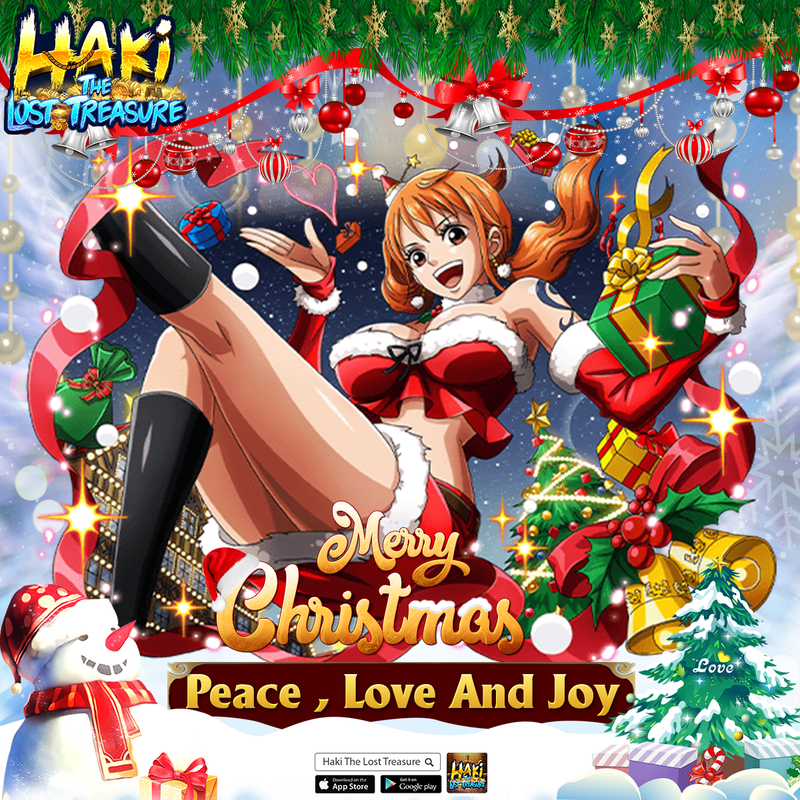 If you have any question, please don't hesitate to contact us via message box on Facebook Haki - The Lost Treasure or our email: support@mobgame.mobi. Show we would like to witness Holiday Spirit from all over the world.